This duplex is currently licensed as a rental by the City of Mt. Pleasant. 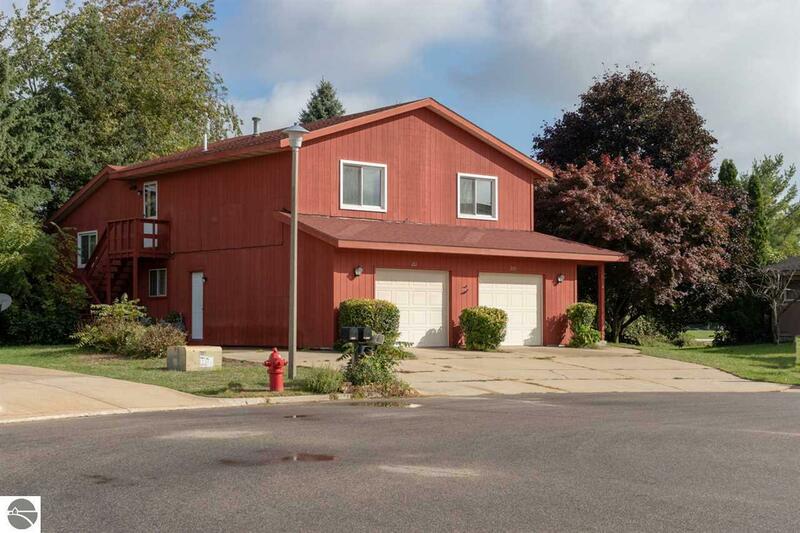 One unit has 2 large bedrooms, 2 updated baths, large Great Room with fireplace, kitchen with bay window, work room/utility with exhaust fan, spacious family room, laundry room, and lovely deck off the Great Room. The second unit has a very large Great Room, updated bath, kitchen and a RV parking pad complete with separate sewer facilities. Both units have one car garages with ample space for tools and storage. Measurements are approximate and to be verified by the buyer.